Our Oslo guided tours are all tailored to suit each booking, we do not allow for bookings to be joined. Our guided tours in Norway are all exclusive to each client. Please get in touch with Isabelle at e-architect for your architectural trip to the Norwegian capital city and/or Southern Norway. Oslo is the capital of Norway and is located in the south of the country. Probably the most celebrated contemporary Norwegian building is the Oslo Operahouse. Other major architecture in Oslo includes the Norwegian Museum of Architecture, The munch museum and stenersen museum collections and the Bislett Stadium building. 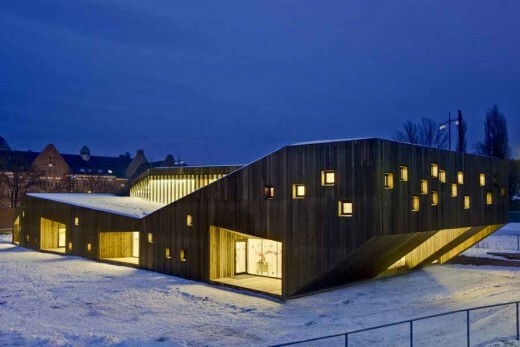 These buildings can be visited on our Oslo Architecture Tours. Famous architects with buildings in the city include Snøhetta, Sverre Fehn, JSA (Jensen & Skodvin Architects), JVA (Jarmund/Vigsnæs AS Arkitekter), Niels Torp Arkitekter. Other key architects with work in the city include a-lab, Narud-Stokke-Wiig, Reiulf Ramstad Architects, Arkitektfirmaet C. F. Møller, NBBJ Architects, div.A arkitekter, Longva Arkitekter, S333 Architecture + Urbanism, 3RW Arkitekter. Oslo Architectural Tours can be an introduction to the city’s main buildings or focused on your group’s interests. We can provide information on areas and building types ahead of your walking tour. 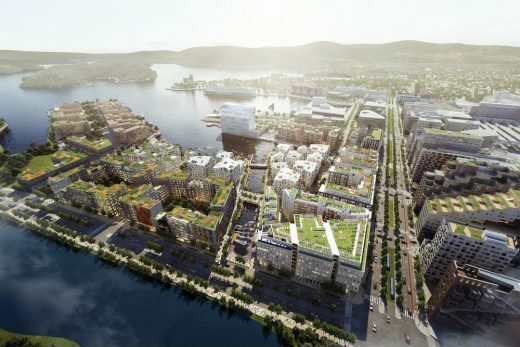 For example a group of architects interested in Oslo office buildings could be provided with information allowing a tour programme to be agreed before their visit to Norway. Visitors can be met from their accommodation or at the starting point of their Norwegian walking tour. e-architect also organise architecture walking tours in other Northern European cities such as Stockholm, Helsinki, Copenhagen, Berlin, Edinburgh, Glasgow and London.